Mike Schaefer opened Blaque Owl Tattoo in April of 2011. 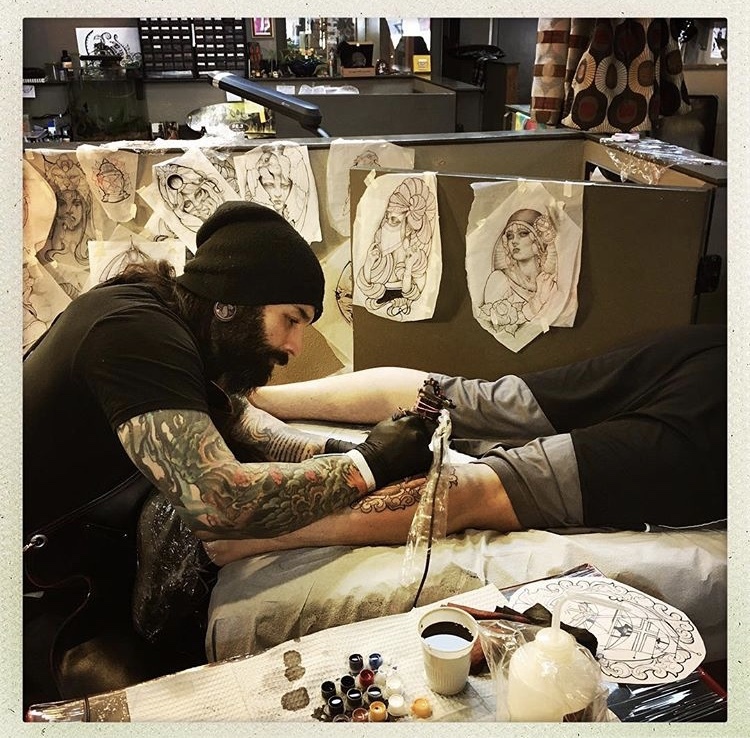 Since opening, we have established ourselves as the best tattoo shop in Missoula - achieving the "Best of Missoula" and the "Missoula's Choice" awards every year we've been open. Outside of Missoula, our artists are established as some of the best in the region as well as the nation. 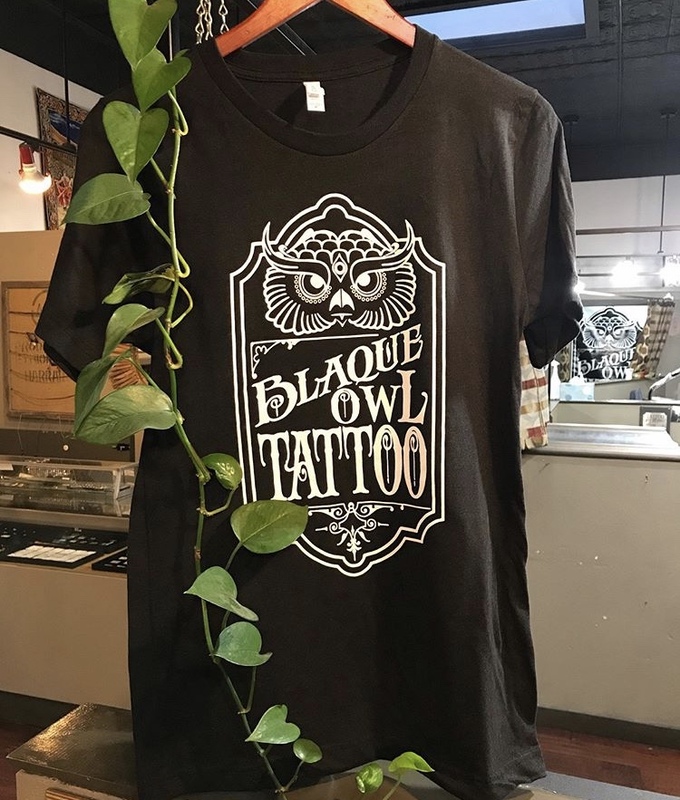 If you are interested in getting tattooed at Blaque Owl Tattoo, the best way to get started is to come to the shop and speak with us in person! While a phone-call can work, and an email is nice, we LOVE meeting you face to face! This helps us get to know you better and to understand the tattoo you are looking for completely. Bring any ideas you might have to the shop and ask to speak with an artist. Most of the time, our artists are happy and able to speak with you briefly any time of day. However, if you are looking for a more complex design you might consider setting up a personal consultation with the artist of your choice. If you would like to set up a consultation, please speak with the front-desk person and they will get you set up with an artist. Once you have spoken to an artists and are ready to get tattooed, you can work with the front-desk person to set up your appointment. We require a non-refundable deposit for ALL tattoo appointments. A DEPOSIT is a Down Payment for a Tattoo. The deposit locks in a date/time on our calendar for you to receive your Tattoo. Your deposit gets the process started for us to design your custom tattoo. We do not charge for drawing time. Your deposit shows your commitment to honor your appointment day/time. Also, to complete your tattoo in a timely manner with the artist you have hired. Deposits range from $75-$2,000 depending on the size and complexity of the design. $150-400 = an average deposit. This deposit comes off the price of your last Tattoo session. Deposits are NON-REFUNDABLE & Non-Transferable. Deposits are not to purchase the artwork itself. Deposit does Not give you the permission to use our artwork for logos, shirt designs or any commercial use, for profit or hobby. If we have drawn your design and you just decide not to get tattooed. You change the design/subject matter. If you show up more than 15 Minutes Late, without a phone call. If you need to reschedule your appointment, your deposit will continue to be applied to your final tattoo session provided that you give 48 hours advanced notice. If 1 year goes by without a scheduled appointment, you forfeit your deposit. The shop minimum is $75 and our shop rate is about $150/hour. If you are looking for a price quote, we are happy to estimate the amount of time the tattoo will take for you. The front-desk person can give you a rough estimate, but the best quote will come from an artist. If you are working to a budget, our artists are usually happy to explain design options so that you can get a good tattoo for a reasonable price. Lacy Z. is our shop piercer. She has been in the industry for over 15 years and has experience from all over the globe. Lacy works Friday-Monday -- taking piercing walk-ins on Saturdays 6-8 pm. If you are interested in setting up a piercing appointment, of if you have questions about pricing or aftercare please call the shop and schedule with Lacy -- 406-543-0688. -Make sure to wash your hands before caring for your tattoo. -Leave bandage on for at least 2 hours. -After removing bandage, wash area off with hot water (not hot enough to burn) for 15 minutes. Make sure to remove all blood particles when washing. -DO NOT re-bandage your tattoo. -Wait one full day before applying lotion, then use 2-3 times a day. Be sure to rub lotion in completely OR use a very small amount of Aquaphor 1-2x daily and rub all the way into the skin. -No swimming, hot tubs, baths, saunas or nylons for 10-14 days or until completely healed. -If your tattoo starts to itch, DO NOT SCRATCH OR PICK. You can slap it to relieve the itching sensation. Once your tattoo has healed completely, make sure to use a 30 or higher sunscreen to protect it from the bleaching effects of the sun.